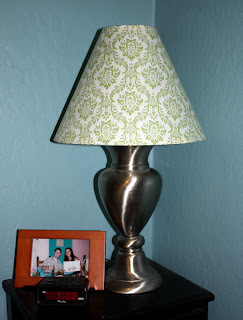 I decided to cover our bedroom nightstand lampshade with some fabric to tie in to the color-scheme and liven things up a bit. 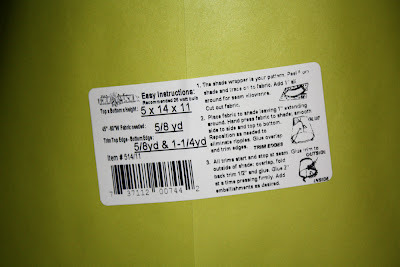 But low and behold guess what I found at the fabric store! 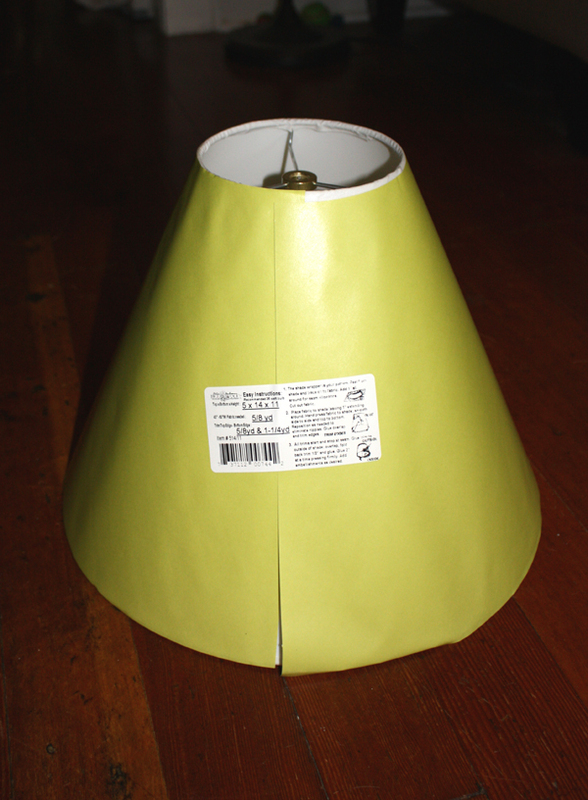 A lampshade lined with adhesive so all you have to do is stick on your fabric of choice. I was excited! And it was on sale for 50% off, woohoo! So here it is. 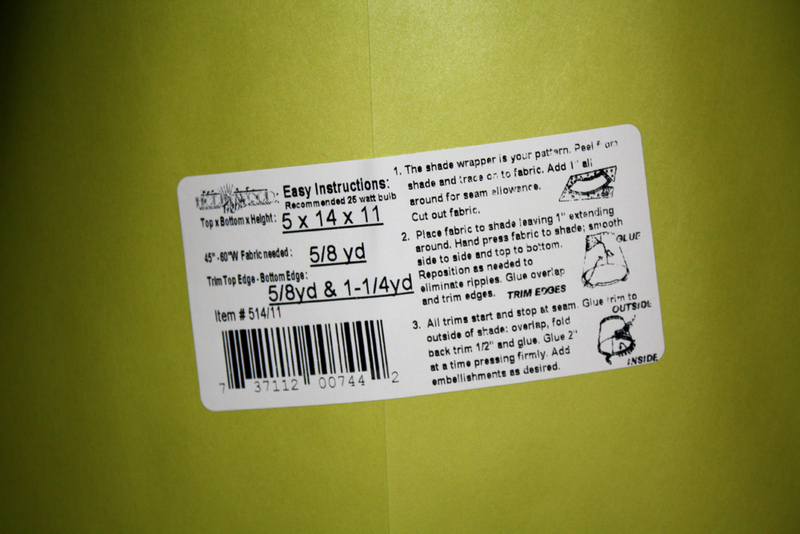 The green paper is just the liner, like the backing to a sticker that is peeled off to reveal the sticky layer. 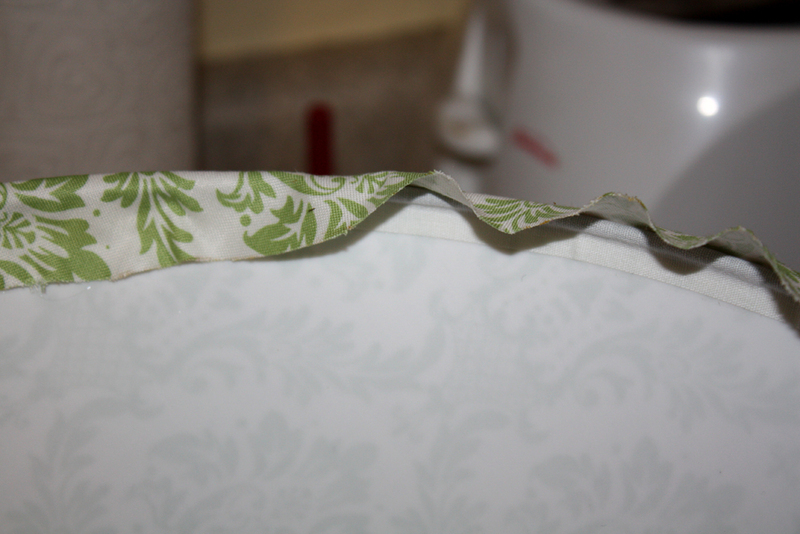 First I removed the paper lining from the adhesive of the lamp shade. The lining is then used as the pattern to draw the dimensions out on the fabric to be used, with 1 inch extra on all sides for the edges. 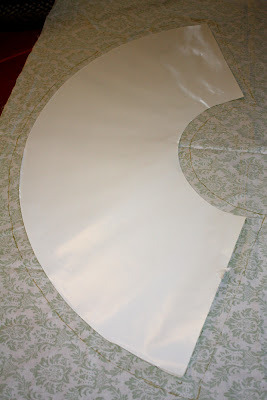 Here is a picture of the pattern laid out on the wrong side of the fabric so trace lines won't be visible on the finished shade. Well I guess that doesn't matter too much since the trace lines will be glued to the inside of the shade.........oh well, this is how I did it anyway. But here it is all finished! Spring is here and we are far, far behind!